Android TV Boxes have become increasingly popular with the home users. They allow them to stream content over the internet on your TV. You can also view content that is stored on your local storage on these boxes. Due to their popularity, there are various Android TV Boxes available in the market; therefore, selecting the best one can prove to be an overwhelming experience. We have compiled a list of the best TV Boxes, which you can buy to stream videos seamlessly over the internet on your television sets. Let’s have a look at them. 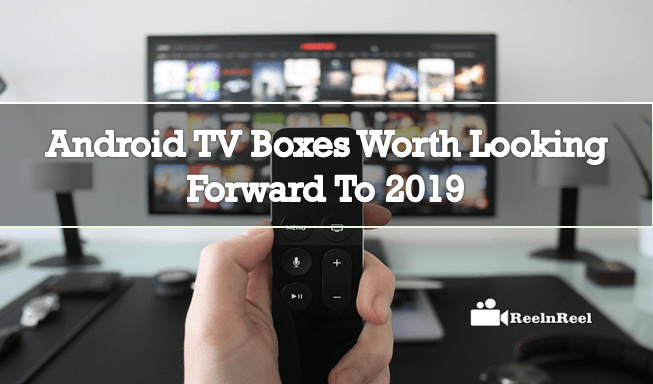 NvidiaSheild TV, without any doubt, has become the most sought-after Android TV Box of 2019. The latest model of this box comes with enhanced Bluetooth gaming controller and a remote. These features have made this not only the best Android TV box for streaming the content but also for gaming purposes. The latest model has a reduced size, which makes it easily portable. If you are looking for an Android TV box without burning a hole in your pocket, Q-Box 4k is the best one for you. It provides a whole lot of features at the most affordable rates. It has 16GB built-in storage, 2GB Ram, optical audio out, and is compatible with external storage. Moreover, it comes preloaded with popular video streaming platforms i.e. YouTube, Netflix, and Cody. SkySteam has made its way to the list of Best Android TV boxes as it allows the users to view an unlimited number of movies, shows or sports by using both paid and free apps. Moreover, users can also use this Android TV box for viewing the live telecast of the sports events by using the add-ons with it. WeTek play 2 is soon going to become the best Android TV box of 2019 due to its impeccable features. The Android TV box can provide you with all the entertainment you are looking with its 2GHz Quad-core processor, 8-bit H265, and 4K Support. You can watch unlimited movies, shows, and sports on this box. With its ultra HD 4K quality, the experience of watching your favorite TV shows and movies will enhance up to a great extent. Having some of the most powerful specifications, Kukele s912 is another Android TV box, which deserves the recognition. It has a 64-bit processor, dual-band Wi-Fi module, and 3 GB Ram, which enables it to give a seamless performance. Moreover, it comes with remote control and a keyboard for the convenience of the users. You can stream your favorite content for hours on this amazing Android TV Box. These are the top 5 Android TV boxes available in the market. The price of each of these depends on their specifications and features they boast of. Buy the one, which fits your requirement and fall in your budget bracket in order to enjoy high-quality video streaming on your television sets.